Starting a dispensary in California – where to begin? There is no end to the incoming fluctuation in laws and regulations that come with the process involved in starting a dispensary in California. Aside from the unique legal situation marijuana finds itself in, each state has incorporated its own well thought out and voted upon plans for those involved in the cannabis industry. One of the most regulated aspects of these varying laws is the use of quality surveillance systems and accompanying equipment. The need for the highest quality security equipment and accompanying digital video recorders is prevalent in all areas of the cannabis industry, be it dispensaries or grow houses. Fortunately, Security Camera King is the perfect easy solution for this exact job. 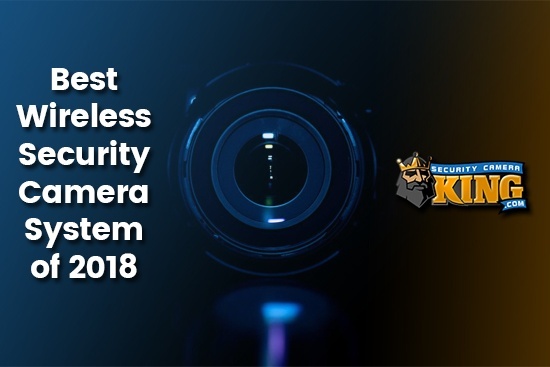 When seeking out cannabis compliant security systems while starting a dispensary in California Security Camera King provides expert knowledge and a warehouse full of the best high tech equipment to maintain your dispensary’s integrity. Senate Bill 420 – The Medical Marijuana Program Act: Passed by the California legislature and put into effect in 2004, this law expanded on the previously accepted Proposition 215. Once patients qualified for medical marijuana, identification cards were issued, thus allowing them to carry up to eight ounces of dried processed marijuana, six mature marijuana plants, or twelve immature marijuana plants unless a doctor specifically authorized the patient for more. More importantly, this law allowed the right to the “collective and cooperative” cultivation of cannabis marijuana. This is what gave starting a dispensary in California a legal authorization. The United States Controlled Substances Act – This is the well known paradoxical law surrounding the cannabis industry. Marijuana, as such, is considered a Schedule I narcotic and remains illegal to cultivate or possess under United States Federal Law. California Proposition 64 – Adult Use of Marijuana Act: Passed as recently as 2016, the purpose of this law is to finally permit adults above the age of 21 to use cannabis recreationally without succumbing to legal prosecution. Coming into fruition January 1, 2018, residents of California will no longer need to seek out a medical license to regularly buy and distribute marijuana. While researching the process for starting a dispensary in California there is no better place to look than the state that paved the way for recreational use of cannabis: Colorado. Acting on a legal proposition of the same name, the state of Colorado has allowed recreational marijuana use since 2012. There are extensive reports on the lucrative numbers in tax dollars this has brought in for their state department, as well as the overall benefits to their entire state economy. 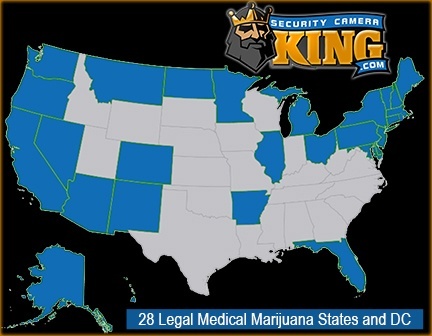 Security Camera King is stationed in Wheat Ridge, CO and has been sought out by all 28 states in need of surveillance systems for their dispensaries and grow houses. We are experts in implementing our high-tech products to ensure compliance with each state’s varying laws that surround the cannabis industry. Our warehouse contains all of the most up-to-date equipment and modern techniques for securing our customer’s products and we pride ourselves on being an integral part of this revolutionary movement. There are a number of things to keep in mind when implementing a security system if you are starting a dispensary in California. Again, it is important to focus on the state of California’s laws specifically, as they differ from the other individual states allowing the cultivation and medical and recreational use of marijuana. These regulations break down into such minute details that even researching other state’s statutes for supplying security equipment and using them to suit your needs are brought into the equation. 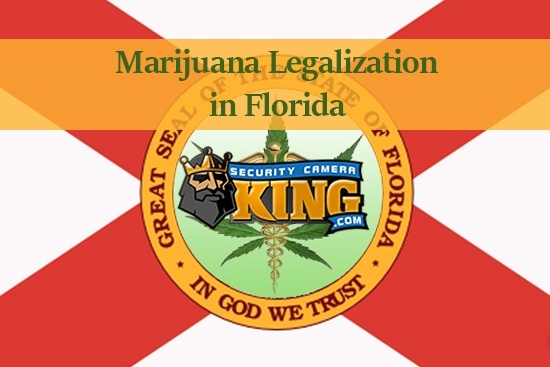 Security Camera King follows the 2016 Florida Statute 381.986 that directly relates this such topic, ensuring our products are in compliance with California state laws for securing your dispensary. All of these products are important and part of the surveillance system that is necessary for compliance when considering starting a dispensary in California. For further information regarding security and surveillance products and methods please Contact Us at Security Camera King so that we can share our collective expert knowledge in securing the cannabis industry’s dispensaries and grow houses. Follow our link at Security Camera King to further investigate our huge warehouse of security and surveillance products. Keep in mind that starting a dispensary in California is not an easy task, but there are many people who can help make the process easier and assist you along the way. 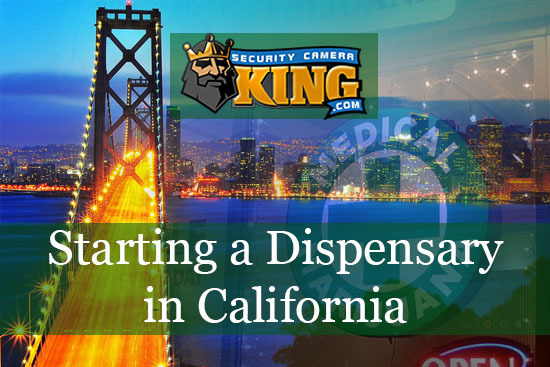 Security Camera King can meet all of your dispensary surveillance system needs and advise you on how to stay in compliance with California laws. We do what we are passionate about in order for you to spend more time safely pursuing the business you are passionate about.